A-Z Chandler Computer Liquidators - Used Computer Liquidation - Asset Recovery AZ. A-Z Chandler computer liquidation specialists offer IT asset recovery solutions to business customers, allowing for the removal of surplus IT assets. A-Z computer liquidators buy, sell and trade large, excess, used computers and network equipment, specializing in all technology assets. A-Z liquidators serve businesses and corporate companies throughout Chandler, AZ., shutting their doors, undergoing bankruptcy, upgrading their computer systems or downsizing as a result of poor economic conditions. Our clients range from start-up companies, Fortune 500 Firm, creditors to high tech corporate MIS/IT business sectors. Ask for a helping hand in removing any routers, switches, servers, workstations, desktops and network equipment taking up valuable storage space. 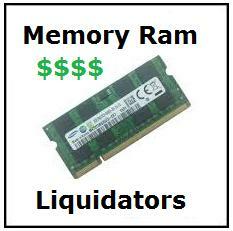 Contact your Chandler computer liquidator today to find out how we can help you maximize the value of your surplus computer inventory by offering you cash for your IT related liquidations. Please note our liquidation service is only for b2b dealers and business environments and we do not buy from or sell to the general public.